Milton Charles Nahm was born in East Las Vegas, New Mexico, on December 12, 1903, to Sigmund Nahm and Ella A. Kohn. As a student at the University of Pennsylvania, Nahm was a member of the crew team for four years and served as president of the Spanish club, in addition to being inducted into the Phi Beta Kappa honorary fraternity. He earned his Bachelor of Arts degree in English in 1925 and a master’s degree in English in 1926, both from Penn. 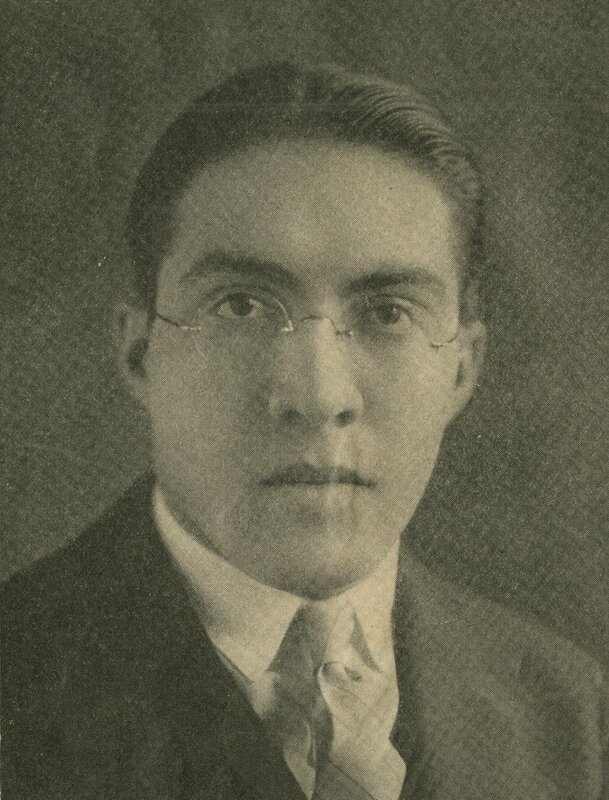 Nahm was awarded a Rhodes Scholarship in 1926 as a representative of the state of New Mexico, the same year in which William Ezra Lingelbach, Jr., also a Penn student, represented Pennsylvania as a Rhodes Scholar. The Rhodes Scholarship allowed Nahm to study at the University of Oxford’s Hertford College, earning a Bachelor of Arts degree in 1928 and a Bachelor of Literature degree in 1929. Upon returning to the United States, Nahm taught at Penn for one year before joining the faculty of Bryn Mawr College as a professor of philosophy. He continued to teach at Bryn Mawr while working toward a Ph.D. in philosophy from Penn, which he was awarded in 1932. Nahm became chairman of the Department of Philosophy at Bryn Mawr College in 1937 and served as such until his retirement in 1972. Nahm was the author of five books: Aesthetic Appearance and its Presuppositions (1946, 1968), The Artist as Creator: An Essay of Human Freedom (1956), Genius and Creativity (1965), and Las Vegas and Uncle Joe: The New Mexico I Remember (1964). Nahm married Elinor Beulah Amram in 1933. He died of a heart attack on March 4, 1991, at age 87.